1. Deputy Secretary - Post Graduate degree from a recognized University or equivalent professional qualification. Diploma in Sales Management. 2. 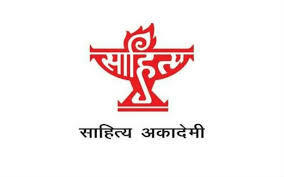 Assistant Editor - A Post Graduate degree from a recognized University in a language/literature recognized by the Akademi. 3. Technical Assistant - Graduation or equivalent qualification. Diploma in Book Publishing. Five years experience in a printing press or a publishing house or a Govt. undertaking concerned with book publishing. 9. The application alongwith self attested copies of qualifications/ experience etc. in the prescribed format as given on the website duly superscribed on the envelope “Name of the post applied for" addressed to Secretary, Sahitya Akademi, Rabindra Bhavan, 35, Ferozeshah Road, New Delhi110001 should reach this office within 30 days from the date of publication of this advertisement.